Gateshead midfielder James Marwood will miss the rest of the season as he requires surgery on an ankle injury. The 25-year-old suffered the injury in the Heed's National League draw with Altrincham in October. 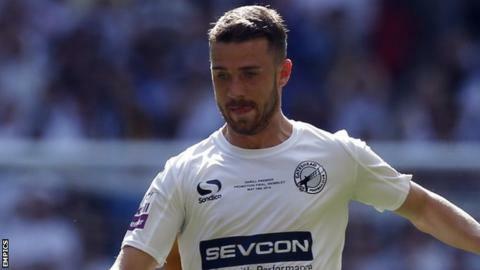 Marwood, who made 114 appearances for Gateshead between 2010 and 2014, featured in 10 games this season after re-signing from Forest Green in June. "It's very disappointing, but at least we're clear on the situation," manager Neil Aspin told the club website.